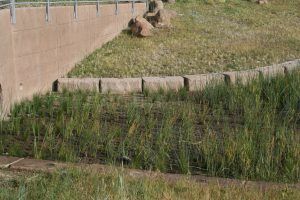 Approximately 10,000 square feet of Grasscrete was installed in NREL’s Central Arroyo Detention Pond located in Golden, Colorado by Bomanite Licensee, Colorado Hardscapes. 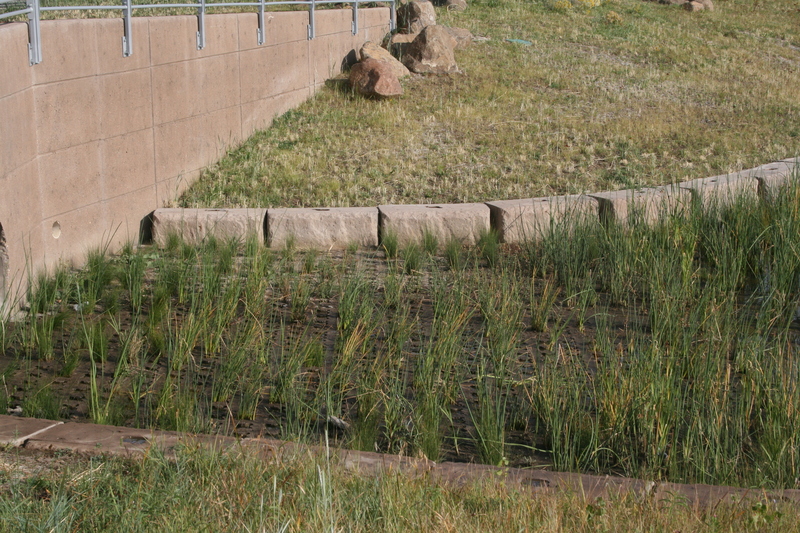 NREL has had great success with the application of on-site pervious pavement systems to reduce site runoff and maintain predevelopment hydrologic conditions. 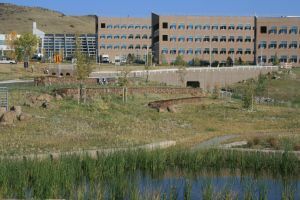 Over 59,000 square feet of pervious paving materials have been implemented on the Colorado STM campus in support of their living laboratory environment. 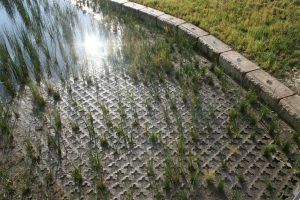 Grasscrete allows the native planting in the pond to grow, protecting the root systems within the voids, and provides easy cleaning and scraping of the pond as needed without disrupting the pond’s shape and root system. 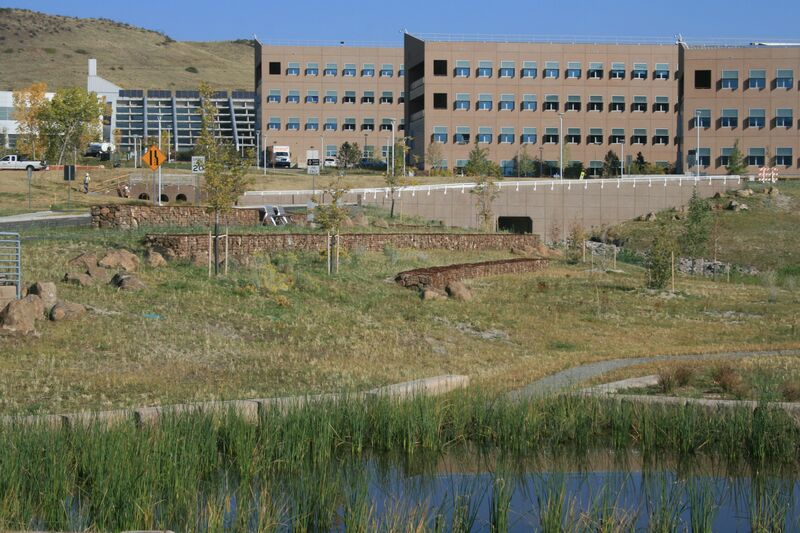 The concrete was integrally colored an earthy brown tone to blend in with the natural surroundings. 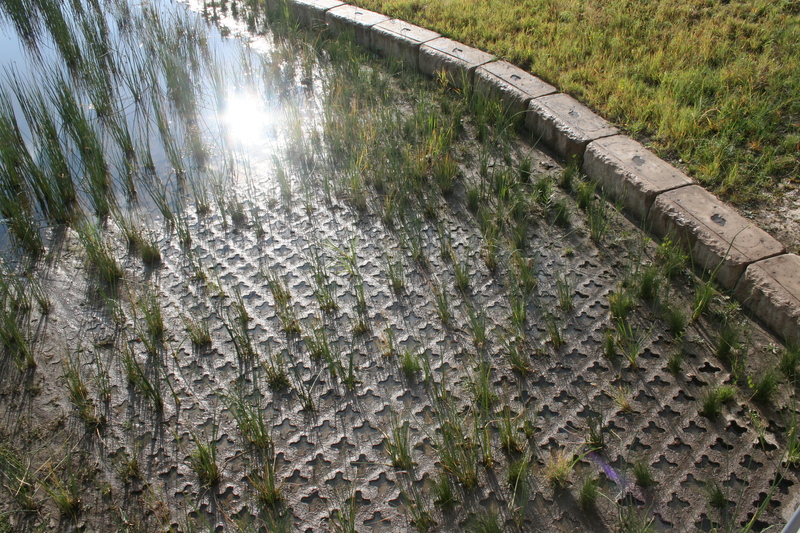 Grasscrete provided an excellent, continuously reinforced, cast-in-place pervious concrete solution for NREL.